This entry was posted in Lyrics and tagged 2018, Ari Olafsson, ESC, Eurovision, Eurovision NI, Eurovision Song Contest, Iceland, Lyrics, My Choice, Songvakeppnin, The Voice of Iceland. Bookmark the permalink. This entry was posted in 10 Things About..., News and tagged 2018, Ari Olafsson, ESC, Eurovision, Eurovision NI, Eurovision Song Contest, Helgi Bjorns, Hjortur Traustason, Iceland, Lay Me DOwn, My Choice, National Theatre of Iceland, Oliver!, Sam Smith, Songvakeppnin, Svala, The Voice of Iceland. Bookmark the permalink. 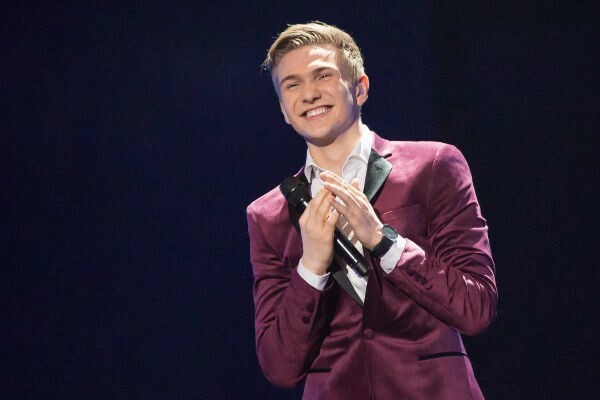 It’s Ari Olafsson for Iceland at Eurovision 2018! This entry was posted in Eurovision Guide 2018, News and tagged Agnes Marinosdottir, Ari Olafsson, Aron Hannes, Attan, Dagur Sigurdarson, ESC, Eurovision, Eurovision NI, Eurovision Song Contest, Fokus Hopurinn, Gudmundur Thorarinsson, Gyda Magaret Kristjansdottir, Heimilistonar, Iceland, Rakel Palsdottir, Regina Lilja, Solborg Gudbrandsdottir, Songvakeppnin, Stefania Svavarsdottir, Thorir Geir Gudmundsson, Thorunn Antonia, Tomas Helgi Wehmeier. Bookmark the permalink. Iceland’s Songvakeppnin 2018 Semi Final 2 Results! Iceland’s Songvakeppnin 2018 Semi Final 1 Results! Iceland’s selection show Songvakeppnin 2018 will kick off on 10 February. Ahead of that we rate and rank the twelve songs in the running for the show. This entry was posted in Eurovision Guide 2018, News, Ranking and tagged Agnes Marinosdottir, Ari Olafsson, Aron Hannes, Attan, Dagur Sigurdarson, ESC, Eurovision, Eurovision NI, Eurovision Song Contest, Fokus Hopurinn, Gudmundur Thorarinsson, Gyda Magaret Kristjansdottir, Heimilistonar, Iceland, Rakel Palsdottir, Regina Lilja, Solborg Gudbrandsdottir, Songvakeppnin, Stefania Svavarsdottir, Thorir Geir Gudmundsson, Thorunn Antonia, Tomas Helgi Wehmeier. Bookmark the permalink.